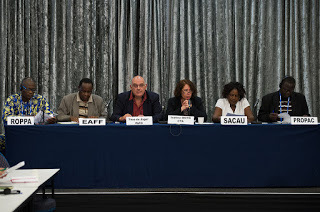 (PAFO) and the ACP-EU Technical Centre for Agricultural and Rural Cooperation (CTA). 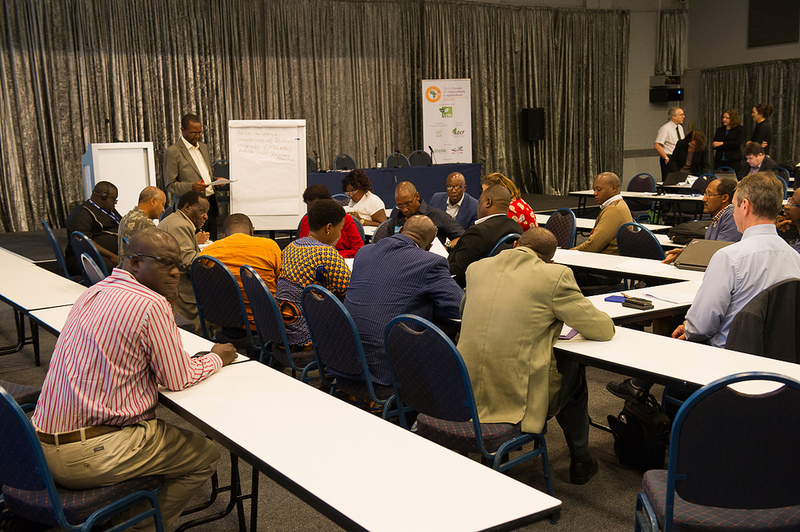 The objectives of this briefing were to: (i) highlight the key opportunities in agribusiness development favourable to the farmer’s organisations; (ii) promote sustainable and inclusive PPPs in support of agribusiness development; and (iii) identify new opportunities in data and ICTs in support of agribusiness and agricultural development in the continent. 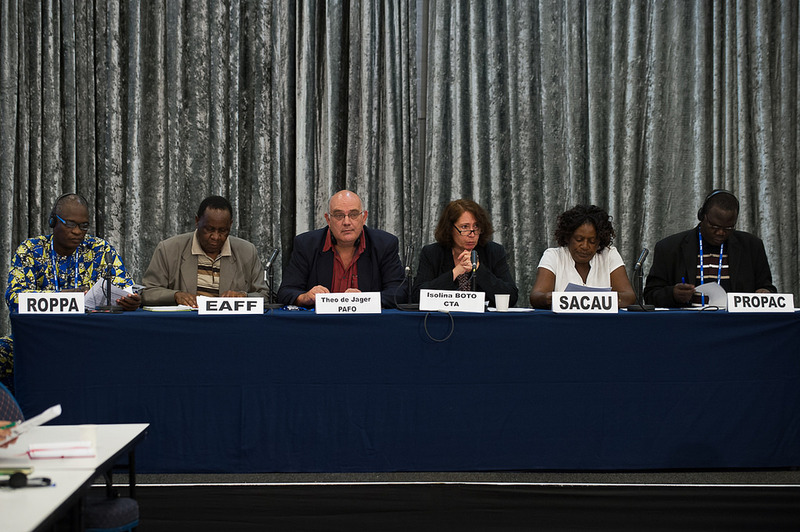 This Briefing fed into the GFIA Conference which was held in Durban on 1-3 December 2015. Successes from farmer’s-led business: This session presented some of the cases of farmer’s led business which have been documented by the FOs since the last PAFO Briefing held in Nairobi in July 2014. In some cases, linkages have been made with the financial institutions. The session will also identify new opportunities to move forward this agenda. New opportunities for Agribusiness development: This panel discussed the drivers of agribusiness development in EU and regional markets favourable to farmers’ organisations and new market opportunities. It will bring perspectives from policy makers, private sector and finance. New opportunities for Agribusiness development through improved financing: This panel discussed the drivers of agribusiness development in EU and regional markets favourable to farmers’ organisations and new market opportunities. It will bring perspectives from policy makers, private sector and finance. 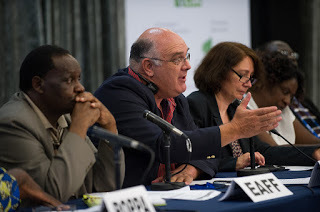 Data-driven farming, Big data and Precision Agriculture: This session looked at new opportunities offered by Big data and ICTs successful applications to farmers in various areas supporting agribusiness. 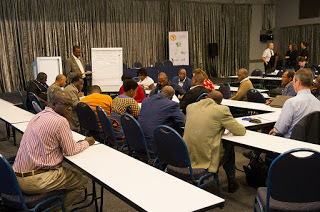 The session also mapped specific gaps and needs which need to be addressed for farmer‘s organisations.